October Favourites! | The Beauty Spot – The Beauty Spot. Most of my favourites this month are beauty related, with just one fashion item. This month seems to be the one where I’ve been using quite a few new and different bits in my routine mixed with some die hard favourites. 1. Clarins headband This is one of things that I annoy myself with. I use it everyday at home but I always forget to pack it for holidays and nights away! But it definitely deserves a spot here because with the length of my hair at the moment it’s just keeps everything out of the way when I’m doing my skincare routine or in the shower and not washing my hair. Brilliant! 2. Bumble and Bumble Surf Spray Possibly more of a summer item, however I like that ‘messy’ hair look because it’s so low maintenance. I use this after my first wash, but also if I want to give that real super surf messy look after day 2 or 3. 3. Good Things Fresh Start Creamy Cleanser I saw this on the first night of starting my blog. Becca had done a review of this and the exfoliator from the same range. I knew I had to have it and have loved using it ever since! I love the smell, and feel of this on skin is amazing! I’m using it as my second cleanse at night and it’s gorgeous! The fact that it’s free from lots of nasties like sodium laureth sulphate and parabens makes me love it even more. 4. Primark Ankle Boots I’m classing these as an October favourite even though I only bought them about 10 days ago! I am a Primark obsessive, and I’m not afraid to admit it! Every time I go in I end up coming out with something else I wasn’t expecting! Recently it was these. I have some tan coloured wedge boots but have wanted some more sturdy black ones too, and these fit the bill! They’re unbelievably comfortable for the £15 (I think!) price tag, and they are perfect for feeling a little more dressed up without going the whole heel hog! I’m terrible for living in Uggs over the winter months, but this will give me a good alternative. I’ve worn them loads since I got them and think they’ll take me right through to next year! 5. Sleek MakeUp Luminous Pressed Powder this was a late summer purchase for me, and as you can I have used it to death, almost! I touched pan on it pretty quickly, so maybe I’m a little heavy handed, but it proves how much I love it! I’m under artificial lights all day at work, and this just gives the most natural glow to set and finish off my base. I can’t remember if there were other shades, but is one is 01. Sleek MakeUp are one of my favourite drugstore brands at the moment, even though I don’t have a huge amount of their stuff, I will definitely be adding to that collection! 6. Collection Lasting Perfection Concealer There has been so much said about this in the last few years, and yes I totally jumped on the bandwagon! I needed a new concealer a few months ago and didn’t want to spend a lot of money, this was my first choice. I’m really happy with it. 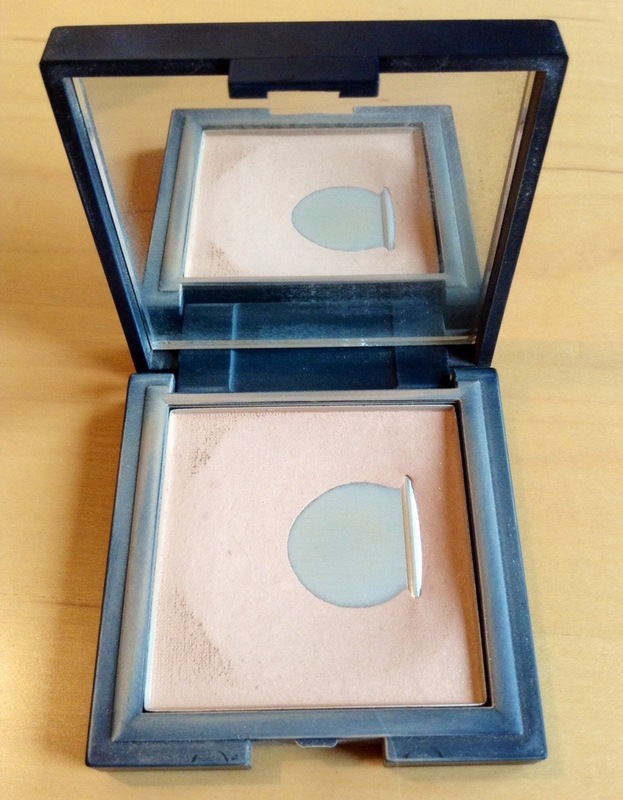 It covers my blemishes fantastically and is still light enough to use around the eyes. A real winner! 7. 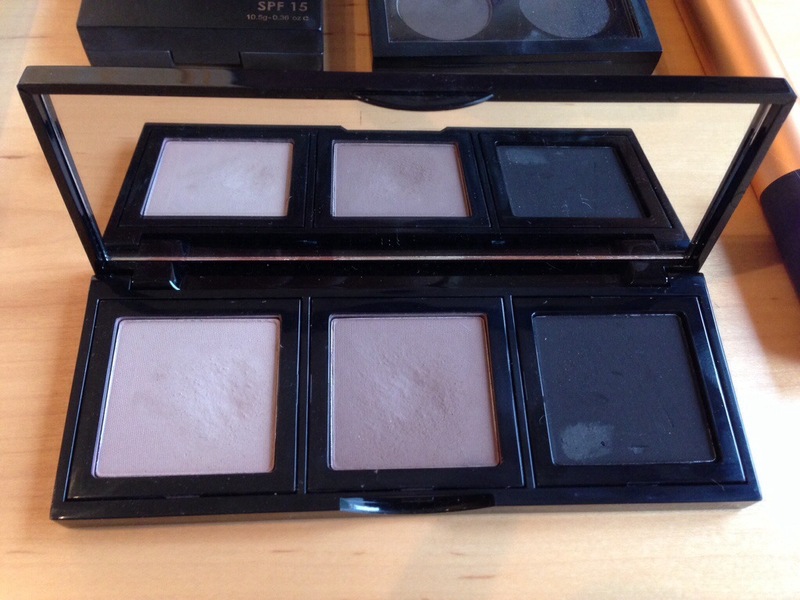 3 Pan Bobbi Brown Palette I LOVE this palette! I already had Cement (left) and Hot Stone (middle) given to me as gifts in another palette a while ago but I was finding I was using them almost exclusively with a plain matte black shadow. So I decided to add Charcoal (right) and make a mini eye and brow palette. It’s the prefect size to take away and they are great shades to do a really natural look or to build and make much more intense. I’d be lost without it! 8. MAC Pro Palette The main image up top showed the full quad, but real favourites this month have been Satin Taupe (left) and Naked Lunch (right). I know, I know, super predictable, but I just can’t enough of them! 10. iPad Mini this has to be included because it has been the main thing I have used to get my blog off the ground. I have taken some pictures with my iPhone, but all the main blog work has been done via the Mini. It’s been brilliant, however it has made me realise that I will need to invest in a laptop at some point (see my Wishlist post from last week), and probably a decent camera. You can’t fault Apple with their design and operating systems. So that brings me to the end of my October Favourites! I hope you enjoyed seeing what I’ve loved over the last month, and I hope you’ll join me for my next post! Pingback: A/W 13: For the love of boots! | The Beauty Spot. I have those ankle boots and they are THE most comfortable boots ever, I wear mine to work all day and my feet are fine, they are cosy too!